By now, you’ve probably heard of baijiu, essentially the national spirit of China. But what the heck is it? Baijiu draws comparisons to everything from vodka to rhum agricole, and while it is arguably closest to vodka in construction, it’s really a broad category of spirits that refers to a wide category of Chinese spirits made from grain. 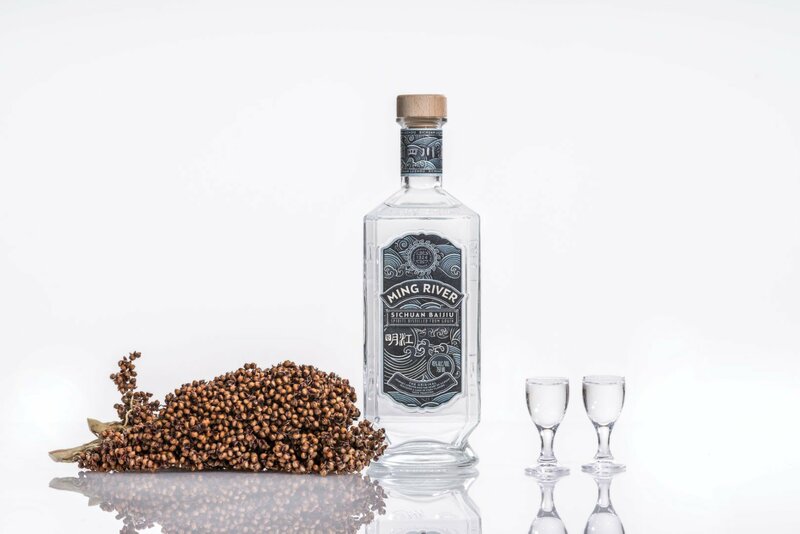 There are four major recognized styles of the spirit, all with odd names – rice aroma, light aroma, strong aroma, and sauce aroma – and as the Drink Baijiu advocacy group notes, “they are as distinct as rum is to tequila.” We’ll get to that in a minute. Baijiu is a crystal clear spirit and can be made from just about anything, but all of the Chinese spirits tasted here are made from sorghum, which is the most common base. (The U.S. baijiu in the mix is made from rice.) What distinguishes baijiu from other white spirits is, in part, its fermentation. Strong aroma and sauce aroma baijiu are fermented in earthen pits over a period of several weeks to several months, using wild yeasts that give both styles a distinct pungency. Light aroma baijiu is fermented in stone jars for less time. As well, don’t mistake baijiu and soju for one another: Baijiu is distilled to a much higher proof, and is often bottled at 50% abv or higher. The good folks at Drink Baijiu recently put together a sampler kit of four baijiu representing the four different styles, so westerners like me could see what the fuss was all about. As I’ve noted in prior baijiu reviews, regardless of the style, I have to say it remains an acquired taste, similar to drinking cachaca or pisco on their own. Wow baijiu. I was tardy to the baijiu party. I’m definitely intrigued! I appreciate seeing baijiu getting some coverage but I would say assigning letter grades to examples from a spirit category you don’t like or appreciate is kind of meaningless. Do you have an example of a sauce aroma style baijiu you would rate an A? It’s a bit like giving Lagavulin a C- and saying it smells like a burning bandaid factory. Andy – I’ve thought about this question a lot and the answer is no, I don’t have a sauce aroma baijiu that I’d rate an A because that’s the only sauce aroma baijiu I’ve ever had. This is a new category for me (and, I’m sure, for 99% of the readership), but I figured I had to start somewhere, and this comparative sampler was the best option available. There are plenty of spirits I don’t necessarily “like” — such as cachaca, pisco, and grappa — but which I do appreciate in well-crafted expressions. I have awarded high marks to spirits in all three of these categories — and I hope to keep delving into baijiu to suss out the best expressions while expanding my own knowledge base. Thanks for the comment!